What’s it like to be inside Rory Bremner’s brain? Rory describes how he sees the world, what helps him make connections that inform his comedy and how these ADHD-like thought processes can have a negative impact. Click icon and scroll down for video clips. Some people say that Newton had Asperger’s Syndrome. He definitely displayed the symptoms from time to time. It is said that he was sitting under a tree when an apple fell on his head, which got him thinking about the nature of gravity. His three laws of motion, mathematically formulated, have played a significant role in developing the modern world we live in today They are still used by engineers and scientists. For the story of his life see: In brief Science A fuller biography. You may already know that he was born at Woolsthorpe Manor in Woolsthorpe by Colsterworth, and went to school at King’s School, Grantham. He is said to have invented Calculus. You could say that calculus actually is rocket science. For the curious, see: What is Calculus? or watch: Introduction to the maths Who invented calculus? Does Bill Gates have aspergers? Opinion is divided. Here is an easy reading On-line discussion. Both sides of the argument have a case, but it seems reasonable to believe that he might. Here is a very watchable video Biography of the boy and man, if you have ¾ of an hour to spare. If you are interested in computers you might like to have a look at His career. For more a detailed analysis of whether Gates has aspergers have a look at This article. It argues that it is wise to be wary of focusing too much on a the social difficulties that a child with aspergers may have. It illustrates the danger with the case of parents who were advised to arrange play dates for their boy. But, within a year of being transferred to a more enlightened school, the social issues faded on their own. As it turned out, addressing “The lack of challenge in the boy’s education, and his boredom in class”, also led to improvements on the social side. Considering another aspect of the question, in his article Undiagnosing Gates, writer Jonathan Mitchell explores in some depth the reasons why people with autism in the family take an interest in famous people who are said to be on the autistic spectrum. He says that it may give hope for the future and make those on the spectrum feel good about themselves. On the other hand, he suggests that it might not be helpful for high-functioning aspies who feel that they are less successful than many neurotypical people. The author questions the widely held belief that Gates has aspergers syndrome, perhaps partly because he feels more disheartened by his own limitations in life. In doing so, he offers an intelligent critique. Have you heard of Richard Branson? If not, see Who is he? To find out whether he has Asperger’s Syndrome, see Does he? . To read his life story in brief click on: Biography. His first company Virgin Records had a spin off record label, Caroline Records. The first release under this label was Tubular Bells by Mike Oldfield. His company Virgin Atlantic managed to break the monopoly that British Airways had on trans-Atlantic services. 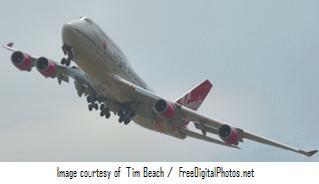 Virgin is working on a low carbon fuel for jet aeroplanes. Would you believe it, a glass bottomed aeroplane ? He evidently has a sense of humour. His company Virgin Trains introduced Pendolino technology to allow trains go more quickly. See Video for a demonstration of the way it handles curves in the track. As the Pendolino article explains, things did not quite go according to plan, though. Of course, there are always disadvantages of being on the Autistic Spectrum. For a more every-day kind of story you might like to try Have~You~Seen on Roy Cropper. Here is a Picture gallery of some people in the public eye and here are some samples of their songs, films etc: Courtney Love Susan Boyle James Durbin Tim Burton Daryl Hannah Dan Aykroy Dan Harmon – witty Temple Grandin Marty Balin Peter Tork – Monkees’ keyboard & bass player Vincent D’Onofrio You might want to keep an eye on your broadband usage if you like this stuff a lot, though. For the full Temple Grandin film see Have you seen. 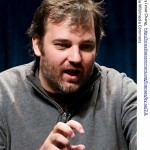 Dan Harmon is an American writer and performer. 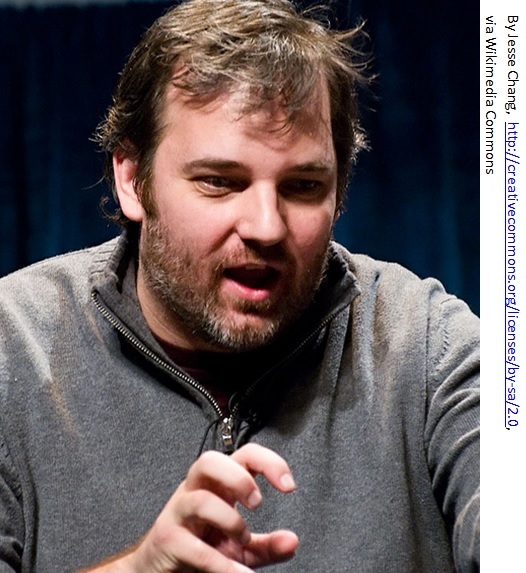 He has said that he is on the autistic spectrum and discusses Asperger’s syndrome as portrayed in one of his characters in his TV comedy series Community. Like a lot of US TV it could be described as somewhat in your face. Here is a trailer for the series.